The Good, the bad and the ugly. Gardeners talk about bugs like they are characters in a Western; ladybugs in a white hat, aphids in black. Ecology, however, is much more complicated. Earwigs, often considered ‘bad bugs,’ are predators and scavengers. They eat the fallen detritus in our gardens providing a valuable nutrient recycling service. In overly tidy gardens earwigs may compensate for the lack of fallen plant matter by eating your lettuce. The fierce praying mantid, often considered a ‘good’ or ‘beneficial insect’ is a voracious eater and will devour aphids but will eat ‘good bugs,’ like ladybugs, just as fast. 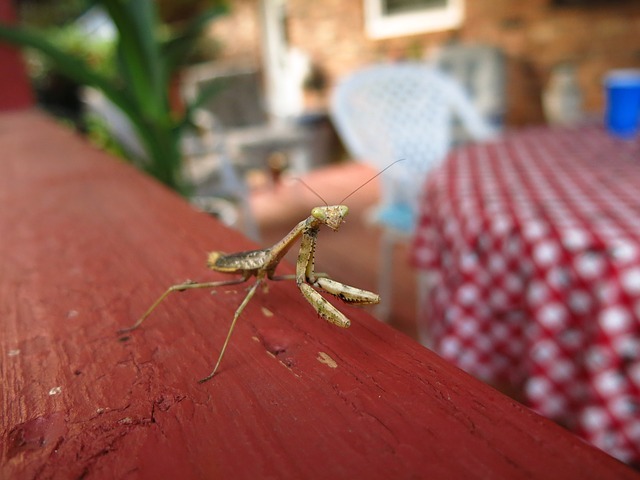 Where should we place the praying mantid on our good bug/bad bug charts? Praying Mantid checking out an Italian restaurant. 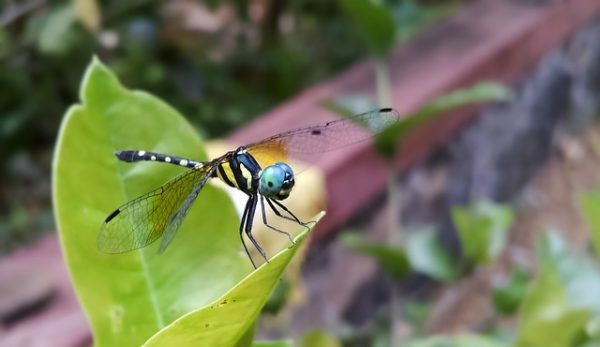 Instead of neatly placing bugs into “good” and “bad” categories, let’s instead strive towards balanced gardens where they don’t have the opportunity to turn into pests. Let’s design our gardens with bugs in mind. They will balance the garden for us, enjoy watching them do this. Use the list of plants below to help attract more life and balance into your garden. All of the plants are edible and/or medicinal. 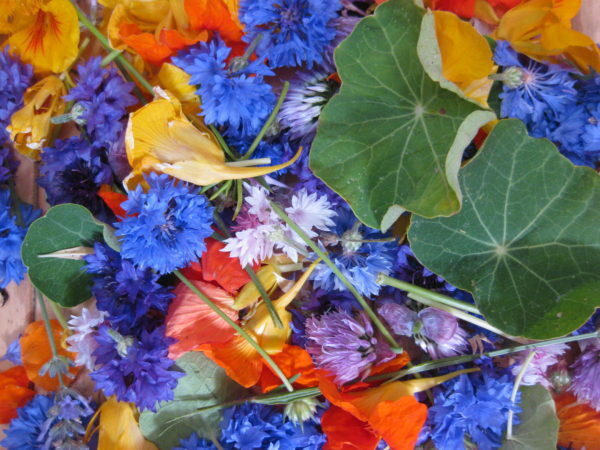 Many of their medicinal and culinary uses are highlighted in my previous post, 10 Easy to Grow Edible Flowers. 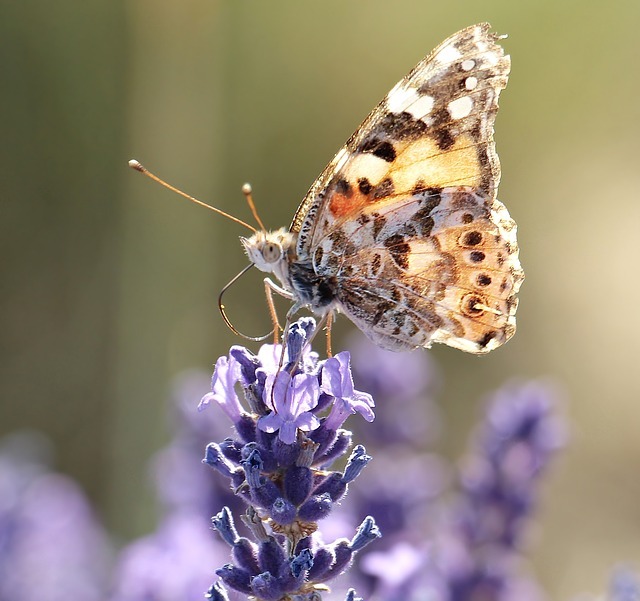 When planting for butterflies it is important to plant food for butterfly larvae (most butterflies are very particular about what plants they will lay their eggs on). Dill is a host plant for the anise swallowtail butterfly as well as good for attracting hoverflies and parasitic wasps. Fennel shares the Apiaceae family with dill and will attract many of the same insects including the anise swallowtail butterfly. Fennel is considered invasive in many parts of the country so if you live near wild areas refrain from planting it and instead help control its spread by wild harvesting it. 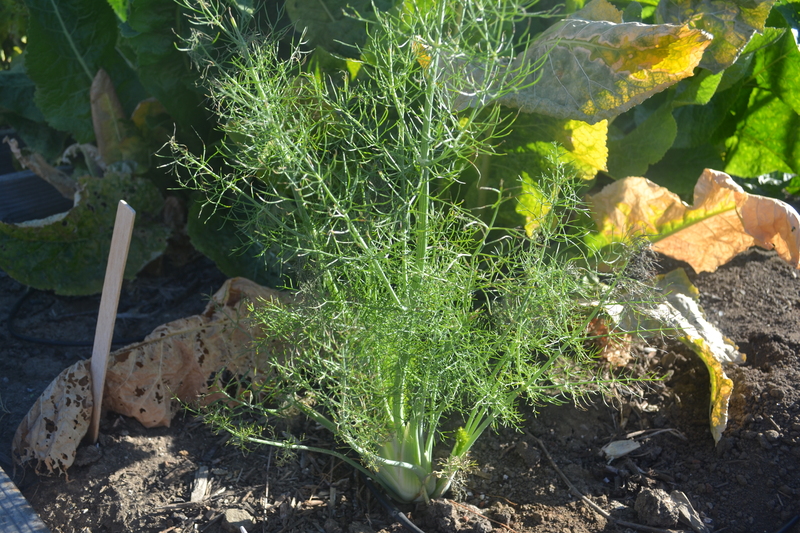 Fennel can be wild harvested in many parts of the country. 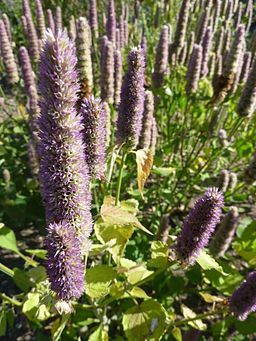 This licorice tasting plant produces a flush of spiky flowers in the summer that will attract hordes of bees to your garden. I always find this plant bustling with life. Bugs I have found feeding and laying their eggs on yarrow include; butterflies, parasitoid wasps, spiders, ladybugs, hoverflies and lacewings. 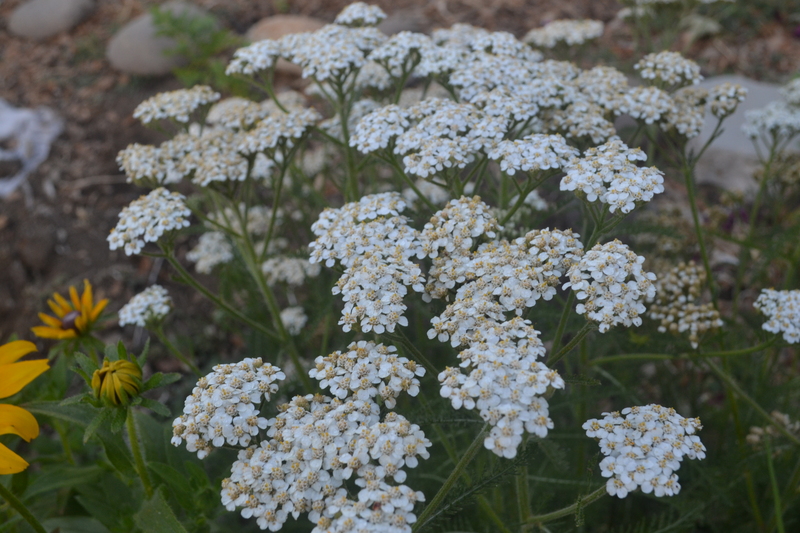 Yarrow becomes a city of bug life in the summer. 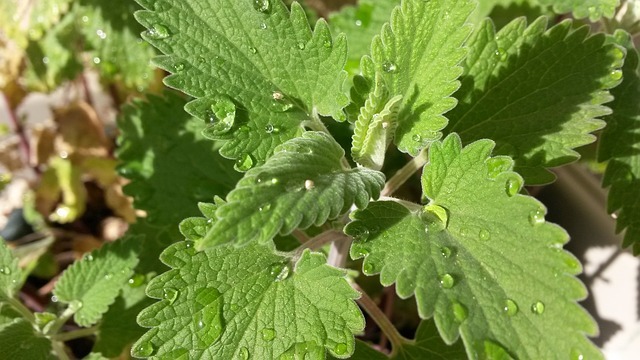 Among the insects attracted to lemon balm are tachinid flies, hoverflies and parasitic wasps. It is also said to repel mosquitos if you rub it on your skin. 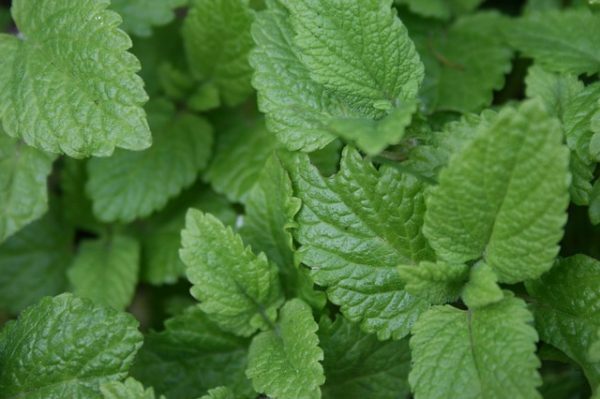 Lemon balm can work as a pest repellant. 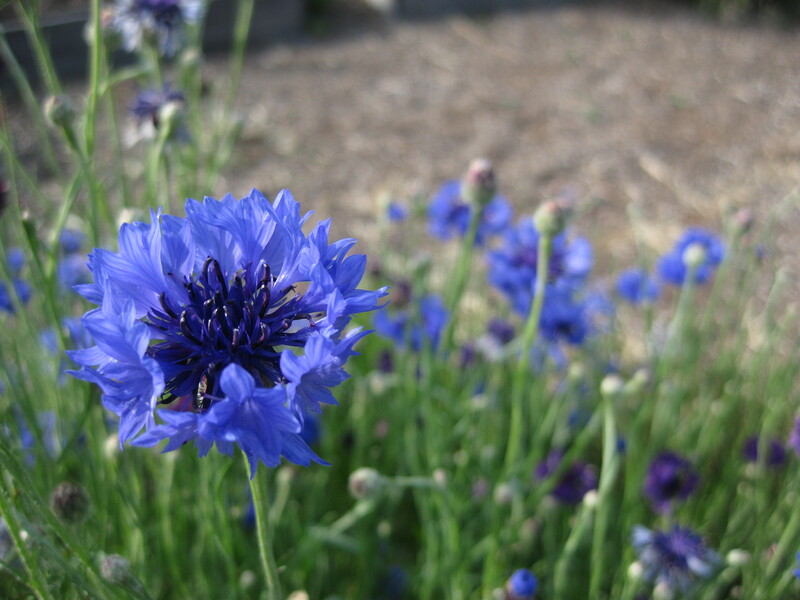 These blue flowers will bring ladybugs, lacewings, parasitic mini-wasps, bees and butterflies to your garden. Bachelor button self-sows in the garden and pops up all over in the spring. 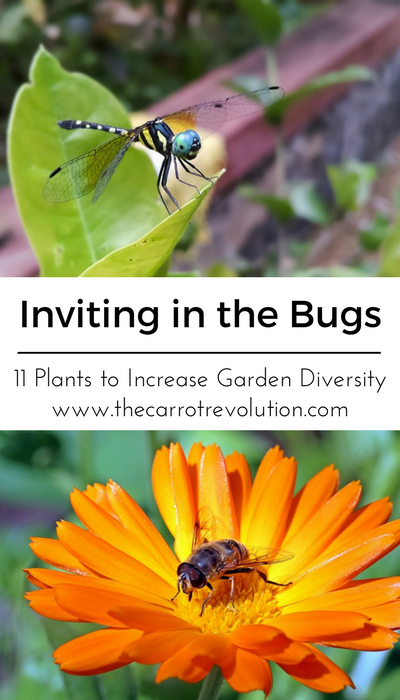 Many of the plants listed attract bugs that will eat other bugs. Plants like catnip actually repel certain pests. Plant it to repel flea beetles, Japanese beetles, squash bugs, ants and aphids. Of course, it might bring cats to your garden. Catnip can be used for more than just cats. 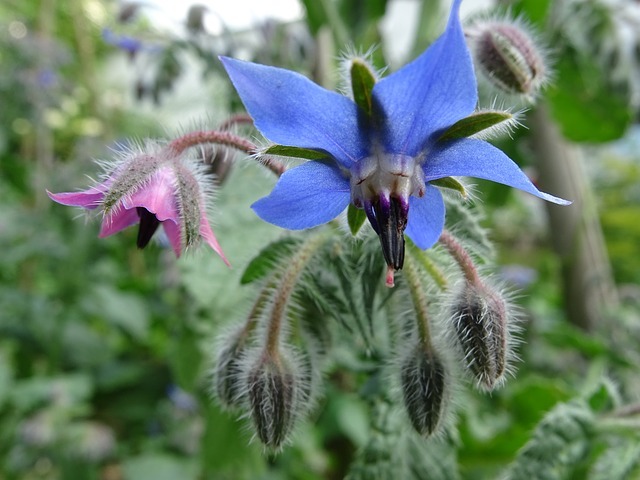 Like catnip, borage can also be used as a pest repellent especially for tomato hornworms and cabbage worms. Bees, on the other hand, love it. Borage is an edible flower also enjoyed by bees. Lavender helps repel fleas, moths and mosquitos while attracting bees and other pollinators. It is a perennial and makes a great garden border. Butterfly visiting a lavender flower. 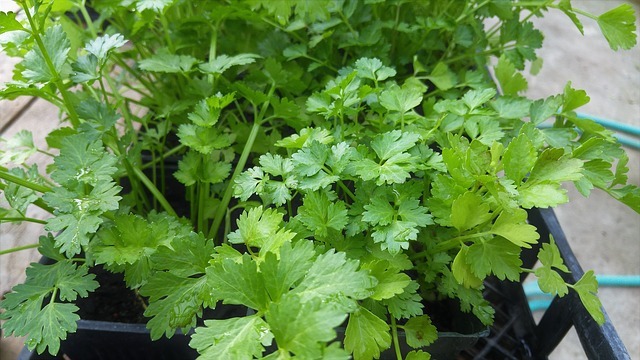 Coriander, also known as cilantro, repels spider mites. You can even make a tea from the leaves and spray it on other plants that have a spider mite infestation. 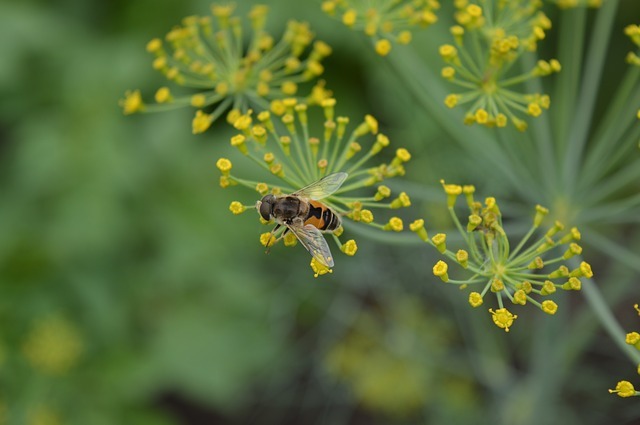 Let some of your coriander plants flower to attract hoverflies and ladybugs to the garden. Let some of your coriander plants go to flower to attract ladybugs. Calendula helps protect your other plants underground by repelling root-knot nematodes who feed on the roots of plants. 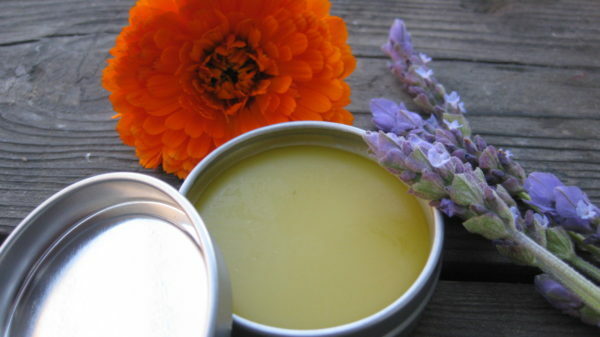 Learn how to make a calendula salve for your skin here. 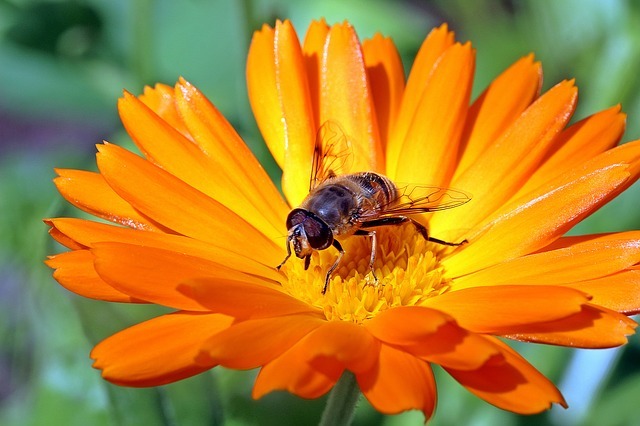 Purchase calendula seeds here. Hoverflies resemble bees and eat aphids as well as work as pollinators. Plant diversity is key. Aim to incorporate plants of different sizes and shapes. Interplant groundcovers, annuals, perennial shrubs, vines, small trees and large trees. Look for different leaf and wood structures. This diversity offers more opportunity for food and shelter. Think about your garden across the seasons. If all of your flowers bloom in the spring then disappear for 9 months your nectar feeders will quickly leave your garden. Look for plants that bloom at different times of the year. Water is one of the quickest ways to increase diversity in your garden. A pond is great but even a small pot with some water will help. 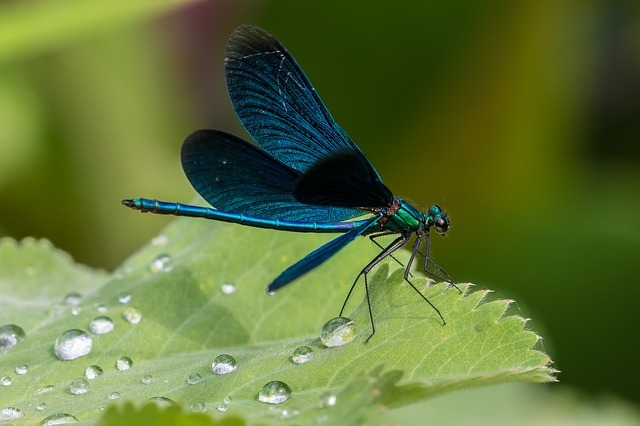 Water in the garden will help attract dragonflies. Mulch your garden and let leaves stay where they are. A layer of mulch has numerous benefits for the garden one being habitat. Predatory beetles and spiders will especially enjoy your layer of mulch. Diversify your soil. Gardeners often strive for a uniform loamy soil. Instead work with what your site offers. Some areas may be best left as heavy clay that will stay moist after a rain. A sandy area may become home to our native bees and wasps. A diversity of plants will aid in the diversity of life in the garden. The insects that find their way to your garden will surprise, sometimes scare and often amaze you. 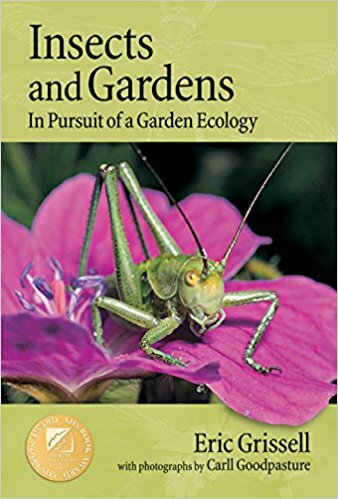 Check out Eric Grisell’s book, Insects and Gardens, to explore the world of garden insects in depth.